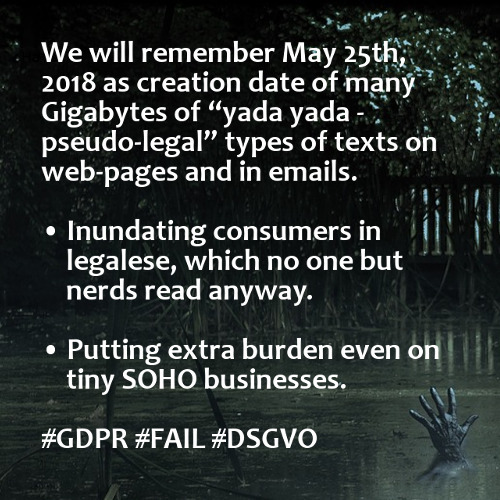 We will remember May 25th, 2018 as creation date of many Gigabytes of “yada yada - pseudo-legal” types of texts on web-pages and in emails. Inundating consumers in legalese, which no one but nerds read anyway. Putting extra burden even on tiny SOHO businesses.